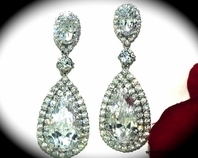 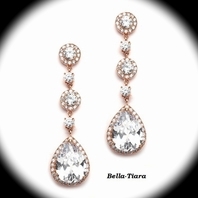 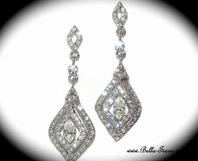 Rachel - Antique design CZ chandelier Bridal Earrings - SALE!! 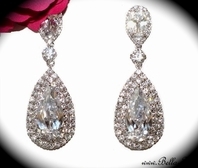 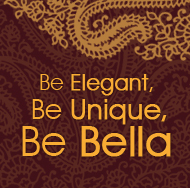 HOME / BRIDAL JEWELRY / Bridal Earrings / Rachel - Antique design CZ chandelier Bridal Earrings - SALE!! 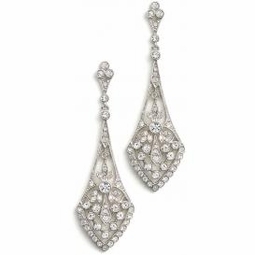 Description: Stunning Antique vintage-inspired design in these radiant cubic zirconia chandelier earrings in your choice of silver or gold. 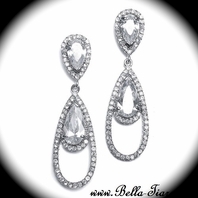 Round cut stones are set within an intricate base, designed, just beautiful. 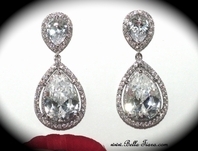 Measures approximately 2 5/8" long these earrings make a gorgeous statement.